Indian Kabaddi : Nurture it, Propagate it. 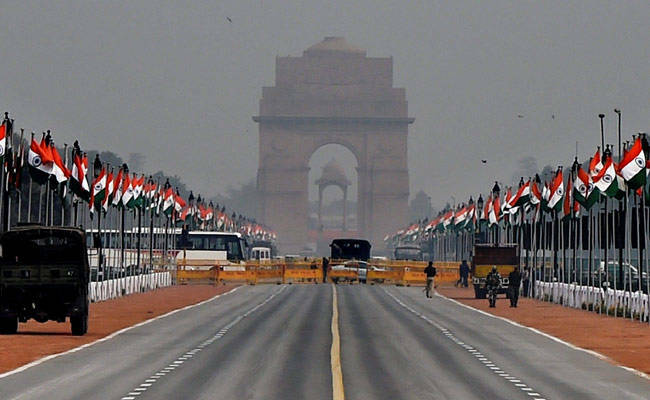 It is very rightly said by someone that when success comes than you are the boss, but when it is not, than you have to be dictated by other’s terms and conditions till you achieved that level. 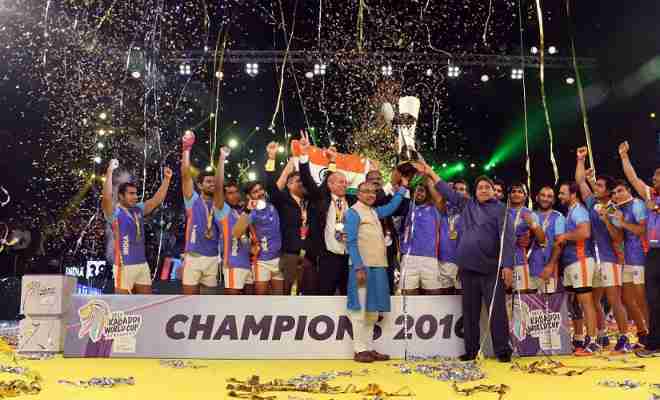 Same thing I have observed in 2016 Kabaddi World Cup finals, when the influence of politicians are so much which you may have observed while presenting the winning trophy, as the minsters were not eager to move away from the team even after presenting the trophy, as they were more interested in getting the limelight, than finally someone from the production team came and requested them to move. When politicians stand for much more time than they should.. But that will not observed in cricket as in present situation cricket in India is much more above than anyone else, it does not depends on any politician mercy for support or any financial help because the polpularity itself brings a lot of advertisements, but that is not in the case of Indian Kabaddi team, even when they have won the world cup 8 times, and due to this reason they have to depend on the mercy of these politicians. 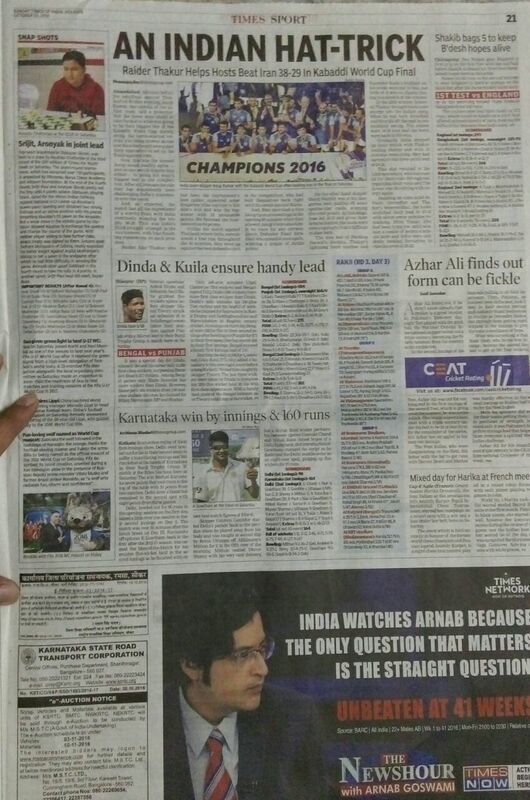 Even the major news papers of India like Times Of India, Telegraph, Dainik Bhaskar, does not even show them on their front page, given the small space in their sports page, but even the slightest big news of cricket can easily make their space on the front page. 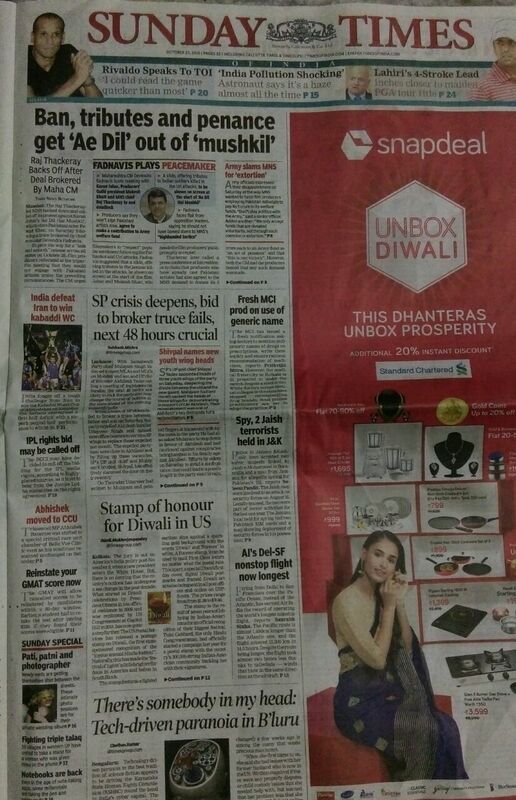 Only a small space on front page..
Only on Sports page, that too on the 3rd sports page.. So basically our system is responsible for making other sports to be dependant on the politicians, and making one sport exception. Hope this may come true for Kabaddi, Hockey or any other sport in India to succeed. Participating in Blogchatter’s Dailychatter campaign.